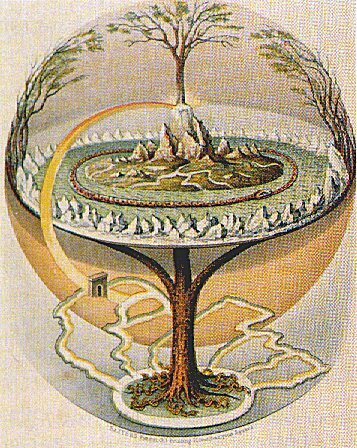 There were hints of an interest in Norse mythology already in her 1990 novel Possession. Now the distinguished novelist Dame A.S. Byatt is giving it her full attention, in Ragnarök: The End of the Gods, apparently already available as an e-book (what they? ), but to be published as a real book on 1 September. In a long article in today’s Guardian Review, she explains why she chose this myth when asked by publisher Canongate to contribute to their myth series. She sees it as ‘a myth of destruction for our times’, which shows how ‘the world ends because neither the all-too-human gods, with their armies and quarrels, nor the fiery thinker [that’s Loki!] know how to save it.’ I particularly like the bit where she refers to her childhood experience of reading the Norse myths: ‘I didn’t “believe in” the Norse gods, and indeed used my sense of their world to come to the conclusion that the Christian story was another myth, the same kind of story about the nature of things, but less interesting and less exciting.’ Sounds like a book to look forward to, then. 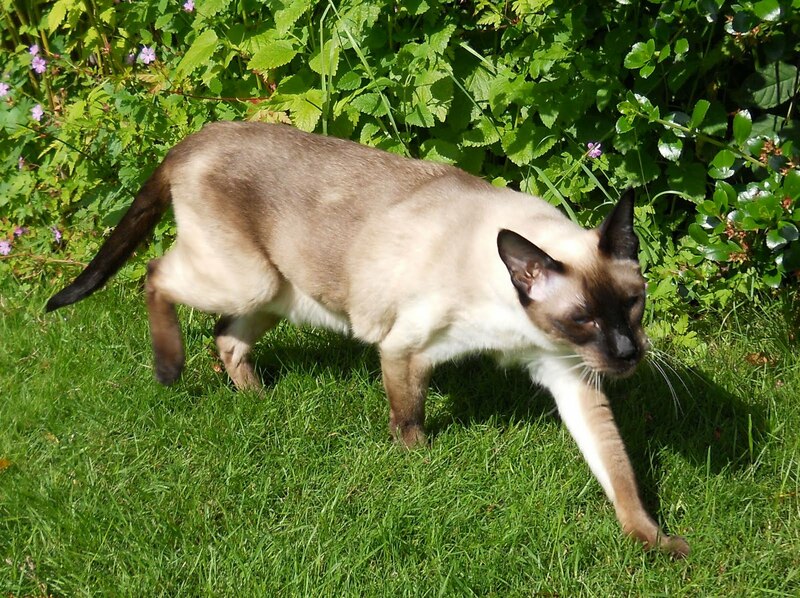 As the proud slave of two Siamese (one pictured left), and general lover of all moggies, I have often wondered about the Vikings and their relationship (if any) with felis catus, the domestic cat. This is a complex topic which will involve archaeology and art history, as well as texts, and I’ll leave the difficult bits, as well as some of the more obvious references, to another post. In fact, I’m thinking of making this an occasional series. But today I’ll start gently with two very minor, but I think illuminating, feline felicities. The Old Norse translation of the apocryphal Gospel of Nicodemus compares Satan, crushed by the falling cross, to a mouse in a mousetrap, except that it doesn’t say that, it says mús undir tréketti, literally ‘mouse underneath a wooden cat’. There has been much learned discussion of whether this interpolation is native or patristic in origin, and Thor, the World Serpent, Leviathan and much else get dragged in. But who cares about all that – it’s the word itself that I like, for ‘wooden cat’ is of course a simple kenning. Trust those Vikings to make poetry out of an everyday object. The man who was playing with the Norwegian had a sore foot, with a toe that was swollen and oozing matter. Sigurðr sat down on a bench and drew a straw along the floor. There were kittens scampering about the floor, and he kept drawing the straw ahead of them until it got to the man’s foot. Then the kittens ran up and took ahold of the foot. He jumped up with an exclamation, and the board was upset. Really quite a pointless anecdote, as the learned translators note, but at least it shows that kitten behaviour is as it ever was. (Funny thing about sore toes, too, remember Hrafnkels saga?). But enough serious textual analysis. If you want to laugh (or at least smile) at something even more frivolous, I suggest you google ‘viking kittens led zeppelin’ and enjoy the video. Björk is back! I heard the Icelandic songstress this morning on Radio 4, of all things, plugging her new album. The thing that struck me most about the interview was when she said that ‘the Icelandic people LOVE volcanoes, that’s the most beautiful thing they can think of’. This coincided with my coming across another form of montanic effusion today, a ‘poetry-spouting mountain’ (thanks to MCR for putting me on the right track!). It occurs in ch. 6 of Hálfs saga ok Hálfsrekka – the plot is far too complicated to explain here, suffice to say that a Norwegian king sailing in the Jutland Sea suddenly sees a mountain rise up in the north and speak a verse prophesying various deaths arising out of the death of a Danish king’s daughter he has just married. Is this the only mountain in world literature that speaks poetry? 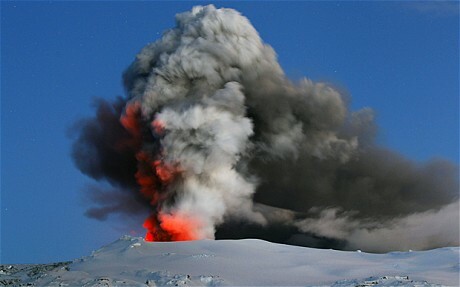 If so, it’s no wonder the Icelanders loved it so much, just like their volcanoes…. (the saga goes on to tell us that the Reyknesingar, of south-west Iceland, are descended from that Norwegian king, and there are further connections later on in the saga). Or is it just a load of hot air?